Teacher of English, media and drama for 24 years; adviser for 4. Recently, @NorthYorksEng has been working hard with schools to develop whole-class reading practice which is both challenging and inclusive. This is a particularly current issue in primary schools, but is – of course – also pertinent to secondary English. Many teachers and schools are moving towards quite a formalised approach, with a similar agenda for every session or series of sessions. Pupils might move through a fairly fixed set of activities; texts might be subjected to quite repetitive kinds of interrogation, with pupils asking and answering similar questions each time. (Such an approach can develop out of a focus on preparation for assessment, often defaulting to ‘content domains’ in primary, or to GCSE ‘AOs’ in secondary.) Such repetition, while reassuring, can also be limiting, denying the potential of individual texts to teach particular aspects of reading, to demand particular kinds of thinking, to invite different kinds of response, to suggest a variety of engaging, classroom activities, and to offer new pleasures and experiences to pupils as real readers. The contrasting approach is to have no set formula for whole-class reading sessions, but to let planning be flexible, led by the the text’s ‘potential’, by the shifting needs of the pupils, by the class’s developing relationship with the text as readers and – of course – by the inventiveness and resourcefulness of the teacher. Such a flexible approach can make it easier for teachers to follow the following principles, which we believe underlie the best whole-class reading practice. The primary English subject leader: overseer, monitor, director or trusted expert? Recently, as part of our work with English subject leaders from across the county, the North Yorkshire English Advisory Team have been looking at how the subject is led differently in primary schools. English or literacy subject leaders tend to be talked about as a group, yet we know that what they actually do varies enormously. A reflection on some different ways to structure discussion of a text in the classroom. The example is from Key Stage 3, although the principles are applicable to any phase. The text below is one which we used to read with Key Stage 3 pupils at Parkside Community College, in Cambridge, when teaching about World War 1 poetry and propaganda. 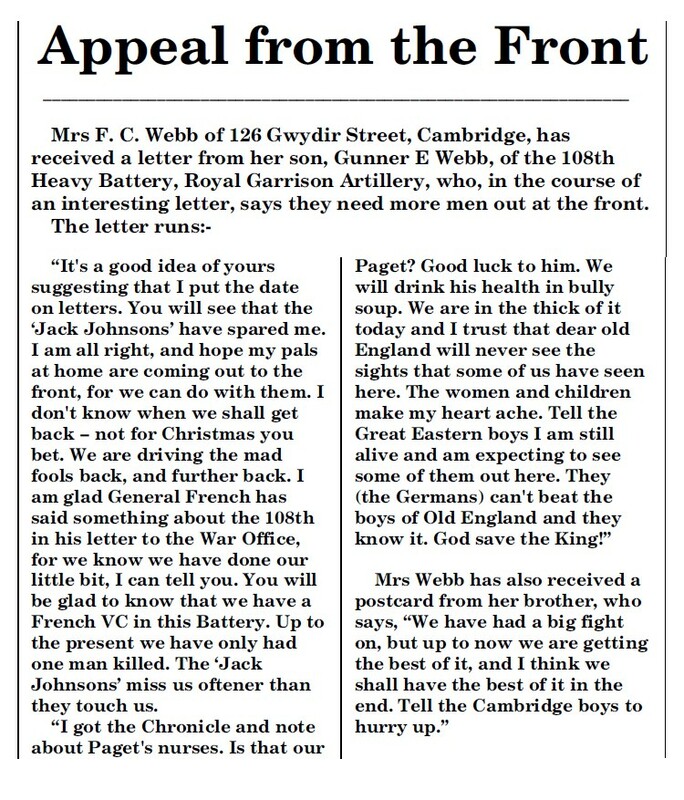 It is a personal letter from a soldier to his mother, which was published in the local paper as part of a drive to recruit more volunteers for the army. Its local relevance made it particularly compelling to the pupils, all of whom knew “Gwydir Street” and the “Great Eastern” railway area, and some of whom lived there. You now have a robust, re-usable resource. In primary schools recently, there has been a lot of interest in ways to approach whole-class reading lessons. The imperative to raise standards in reading is leading many to question the dominance of small group guided reading, in which – at any one time – most pupils are not being taught by the ‘expert’ in the room. Teaching the whole class instead means that all pupils can read with the teacher more often, moving faster through more or longer texts and benefiting from the teacher’s expert explanations, modelling, questioning and feedback. It also makes possible more integration between ‘guided reading’, topic-related reading, reading as stimulus for writing, daily reading aloud to the class and following a ‘class reader’. Many secondary schools have concerns about how to maintain progress in the core area of literacy from Year 6 to Year 7, perceiving that many students do not make sufficiently-strong progress in Year 7, or that they can even regress in some aspects. These concerns have been fuelled recently by Ofsted’s ‘The Wasted Years’ report. 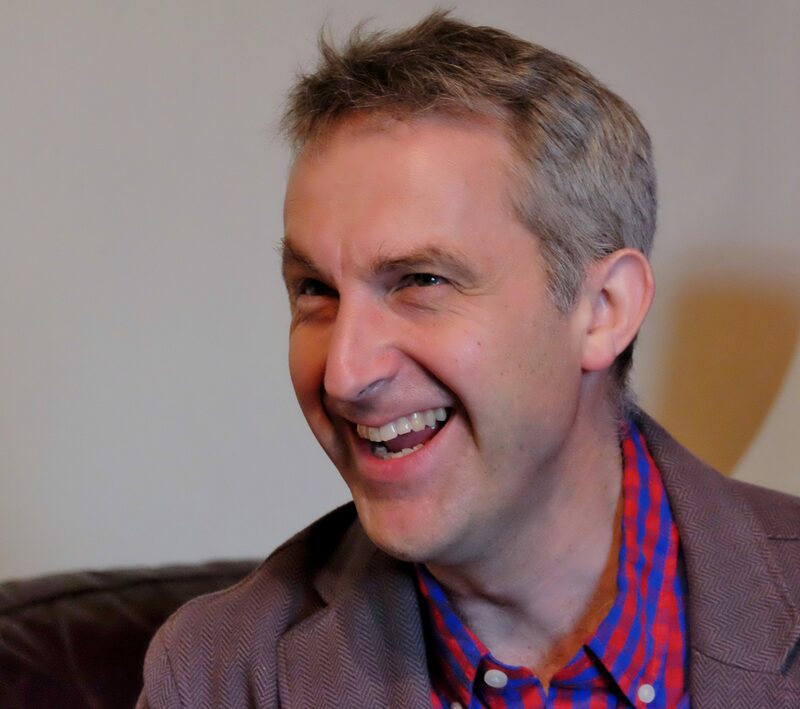 They have also been foregrounded by changes to the Key Stage 2 curriculum and assessment framework, which has left some secondary English teachers feeling de-skilled as Year 7 students arrive throwing semi-colons around with alarming confidence.